You’ve seen it at your local juice bar: a dark green liquid reminiscent of lake water (but in a fancy bottle) called chlorophyll water. If you’ve ever decided to inspect one of the emerald-coloured hydrators, you’ve probably seen benefits like increased energy, improved digestion and toxin neutralisation touted on the label. But there’s a less-talked-about benefit that’s worth exploring: hunger control. Unlike several of the other trendy miracle waters out there, this one comes not only nutritionist recommended but also scientifically proven. Scroll through to find out why you should start drinking chlorophyll water. Previous studies have shown that adding chlorophyll-containing compounds to high-fat meals suppressed food intake and weight gain in rodents. Researchers replicated the study on moderately overweight women with impressive results. The women were given three high-carbohydrate, high-calorie meals—two with chlorophyll and one without. Following each meal, blood samples and questionnaires were evaluated over a four-hour period. The blood test results showed stable blood sugar levels (which means no hunger pangs), and the questionnaire responses showed that the participants felt satisfied longer after the chlorophyll meals. The researchers concluded that adding chlorophyll to your meals intensifies feelings of satiety. You don’t need to pay £5 a shot for the trendy versions sold in stores. Instead, buy a big bottle like the one above, and add about 30 drops to a large glass of water. We swear it doesn’t taste as swampy as it looks; this one tastes like mint. Chlorophyll is nontoxic, and the risk of overdoing it is very low—meaning you’d have to consume a lot of the green stuff. Even then, the worst that will happen is some stomach cramps. 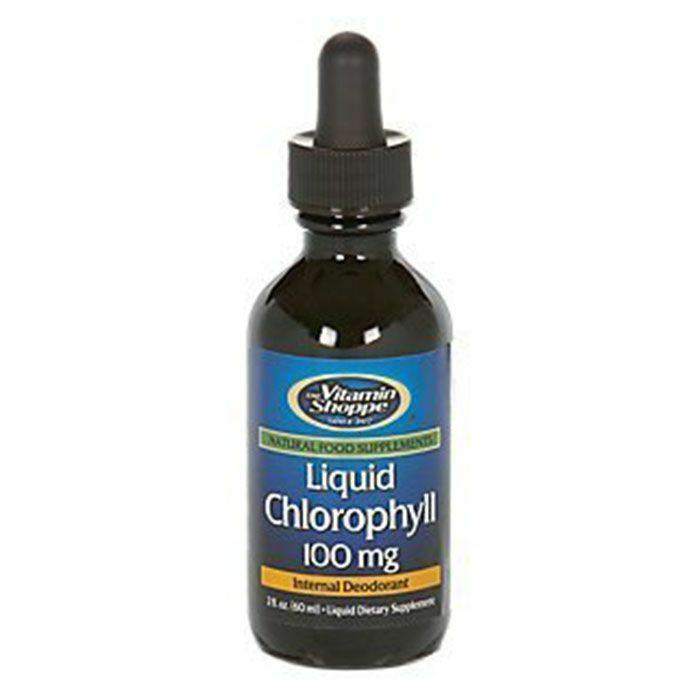 Have you tried chlorophyll water? Tell us in the comments!